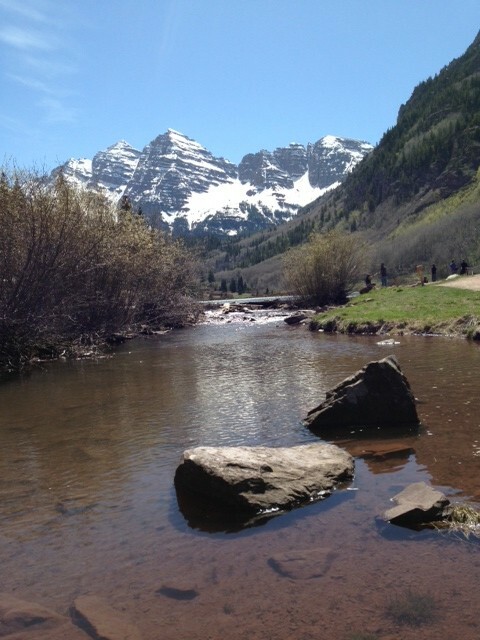 In a move that is almost as senseless as shutting down World War II Memorial in Washington, the Obama Administration essentially shut down another open air attraction this week when they closed off the street that leads up to the Maroon Bells. The Bells are some of the most photographed mountains in America. Locals and tourists are especially drawn to the area this time of year when the Aspen leaves are changing and there may be a dusting of snow on the peaks. There are different reasons offered for the government removing access to these mountains. While it’s a county road, not a federal one, that leads up to the parking lot at the base of the Bells, Scott Fitzwilliams, a bureaucrat at the National Forest Service, justified closing the road 5.5 miles down from the parking lot, claiming “it’s our facility.” Actually, it belongs to the People of Colorado and the Citizens of the United States, but Fitzwilliams’ tone is one that Americans have gotten pretty used to over the past few years. Other excuses had to do with the safety of people being up there without the benefit of (gasp) cell phone coverage, and the protection of Forest Service property. For those of you who have not been to the Bells, the government property mainly consists of a couple parking lots, composting outhouses, some trail signs, and a fee collection point. To keep the parking areas open, local officials offered to provide port-a-pots, police security and traffic control to the area, but in true Obama fashion, the Forest Service refused to “accept or negotiate it”. With this type of contemptible behavior reaching reaching the National Forest Service in the Colorado wilderness, one of the most remote outposts of Obama Administration, it is becoming more clear that Obama and his Democrats hope to inflict as much pain on everyday Americans as possible. The Forest Circus is full of nimrods like this fellow. Fire them and their supervisors, ie Congress, and fill the empty positions with people that have common sense! The American People should not be getting used to this type of Tone. It's completely unacceptable. Bureaucrats like this Fitzwilliams character should start thinking about a new lie of work! Well if they are going to close the National Forests it should make for an interesting hunting season. Shutdowns are supposed to be painful in a public way. If they only affected farmers' payments and WIC recipients, then no one would care. How many National Forest "employees" vs State employees and citizens? I think you guys could take 'em if they try to mess with your county road? The land belongs to the people. Time to march and FORCE OPEN the Maroon Bells and RMNP. This is BEYOND ridiculous! The Bells are at the peak of color at this time of year and the reason that people come to our little mountain town to visit! What a disgrace!